I made a quick visit this weekend to the City of Pines to check out the strawberry festival at nearby La Trinidad. I brought my lightweight birding combo (7D II + 400 f/4 DO II + 1.4x TC III) just in case some feathered friends are in the mood for a photo session. 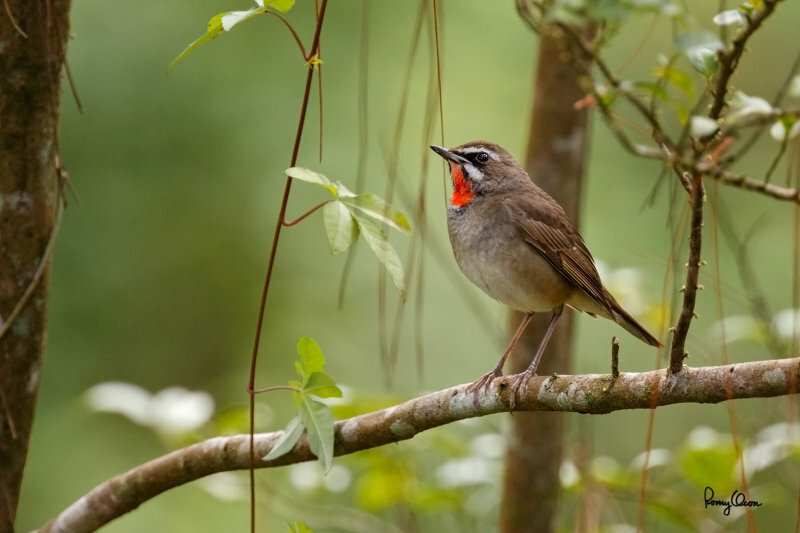 True enough, I saw a Siberian Rubythroat at Camp John Hay where I stopped for breakfast. I got only a few documentary shots, but I was lucky to capture the more colorful male. 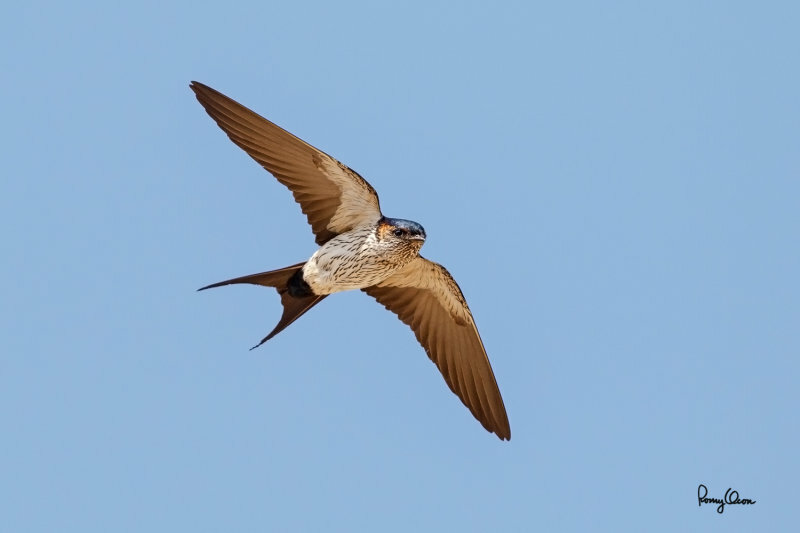 Meantime, while I was enjoying a pile of succulent strawberries at La Trinidad a few hours later, I noticed a flock of Striated Swallows zipping above the parking lot. I quickly dismounted the 1.4x TC III to make acquisition more manageable and to speed up the AF of the combo, both helpful in catching these fast BIFs. Habitat - uncommon in early second growth, open country and tall reeds. 560 mm, f/5.6, ISO 1600, 1/160 sec, manual exposure in available light, hand held, major crop resized to 800x533. Habitat - Gorges and canyons, may also be found in open country, even in towns. 400 mm, f/5.0, ISO 320, 1/2500 sec, manual exposure in available light, hand held, major crop resized to 800x533.